Fatty liver is expected to become the top cause of liver transplants in the next decade. It’s difficult NOT to see fatty liver disease as one of the most pressing healthcare issues in this country1,2. The good news is it is very reversible. Liver disease is the fourth leading cause of death in the United States among 45-54-year-olds and, sadly, affects more than 6 million children. As childhood obesity has gone up, researchers are expecting it to cause more complications in kids in coming years. One problem is that it is hard to diagnose. While we can easily measure things like blood sugar or iron levels, the perfect way to find out if a liver is diseased would be to take it out and analyze it. Liver biopsies are the most accurate way to diagnose fatty liver, but they are not at all practical as screening tools. When researchers examined 70 such biopsies from healthy relatives hoping to donate liver tissue to a loved one who needed a liver transplant, they found 38.5% of the healthy relatives had fatty liver disease. Another study found that elderly individuals who were hospitalized for non-liver causes had a 46% chance of having fatty liver disease. If that’s not enough, the rates of fatty liver in obese populations may be as high as 90%3. Fatty liver is a sign that the body is not burning its fuel right. When you eat, your body breaks food down into fuel which either gets burned or stored as body fat. When you’re energized, you’re active and alert. Movement is effortless and life is good. On the other hand, the more fat your body stores, the more you’re growing stuff you probably don’t want to grow and the more you’re just running down, feeling far from your best. When you store more, you’re more apt to have more fats, especially triglycerides, get stuck in your liver and enlarge it. A healthy liver has about 1-3% fat. Once you get over 5% things start to go wrong. Once you get over 10%, disease usually sets in. All this fat can lead to problems like a poorly functioning liver, liver tissue scarring and, even, liver cancer. Are there different kinds of it? Alcoholic Fatty Liver which, like its name sounds, is related to alcohol intake. This form can lead to cirrhosis. It is important to note that alcoholism can lead to cirrhosis, but normal social use of alcohol can still be a contributor to fatty liver. Non-alcoholic Steatohepatitis (NASH) is a much more serious form of fatty liver disease than NAFL. 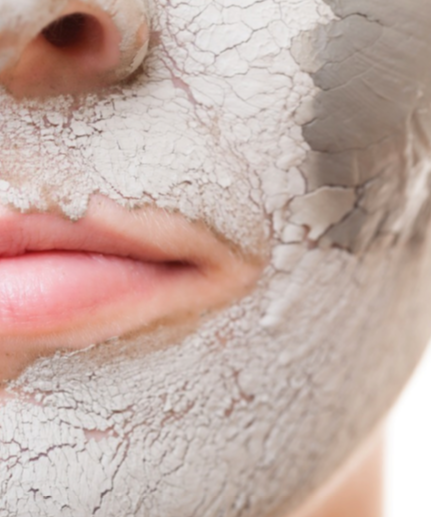 If left untreated, it can permanently scar your liver or lead to death from liver failure. Acute Fatty Liver of Pregnancy often occurs during the third trimester of pregnancy and can cause symptoms such as constant nausea and vomiting, pain in the upper right abdomen, fatigue, and jaundice. Since it can be life-threatening if not treated, you need to talk to your obstetrician about getting screened for it if you are pregnant and have any of these symptoms. Fortunately, most women completely recover from it after delivery4,5. Today, about a third of Americans are obese, with rates projected to reach 60% in thirteen states by 2030. Genes that make us more likely to have obesity or diabetes combined with little exercise and poor diet, definitely contribute to fatty liver. Then, as the liver has trouble functioning, other symptoms start to show up, such as reduced energy levels or muscles which don’t repair as readily, which make it harder to exercise or prepare healthier foods. It should come as no surprise that fatty liver is on the rise and this trend doesn’t appear to be changing anytime soon. However, many who develop fatty liver are lean and have no apparent health issues. This is why screening is important. Fatty liver disease is more common in those who have Type 2 diabetes or who carry some extra weight. Other factors that have been linked to fatty liver disease include alcohol use, malnutrition, high cholesterol, high triglycerides, metabolic syndrome, genetic predisposition, rapid weight loss, and pregnancy. Medications such as aspirin, acetaminophen (Tylenol), steroids, tetracycline, tamoxifen, and calcium channel blockers (blood pressure pills like diltiazem) have also been linked to this condition. 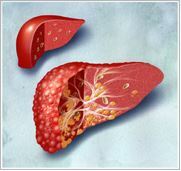 Fatty liver can lead to early death from liver damage. Among fatal diseases, it is the only one that has been causing more deaths year after year since the 1940s. Those with a fatty liver are also at higher risk for liver cancer, diabetes, and heart disease. In fact, the most common cause of death in those with fatty liver is heart disease6. Get your liver function tested annually. As many as 80% of people walking around with fatty liver don’t even know they have it. A common way someone learns they have fatty liver is that their doctor finds abnormal liver enzyme levels during an ALT test. Most blood tests include a metabolic panel, also known as a ‘chem panel’ which includes liver enzymes. ALT, or alanine aminotransferase, is an enzyme found in your liver. When liver cells are naturally breaking down, they release some of their contents into your bloodstream. While some of these enzymes in your bloodstream are perfectly healthy, a liver inflamed with excess triglycerides or one that is injured causes ALT scores to creep up. ALT levels greater than 19 for women and 30 for men are suggestive of fatty liver. Both patients and doctors often miss this because you can be above this cut-off, but still in the normal range7. Some patients do develop symptoms that bring them to our clinic. These can include vague pain and discomfort on the upper right portion of the abdomen or an increase in bloating, gas, or heartburn. Sometimes patients tell us they have pain in the right shoulder. While we can see clues that a person has fatty liver disease from a physical exam, ultrasound. or a liver biopsy, fatty liver is most often diagnosed when a doctor finds abnormal ALT test results. Unchecked, the disease can lead to liver transplant and possible fatality. The good news is that in the vast majority of cases, fatty liver can be managed, or even reversed, through a few simple action steps. Know your ALT level. If you’re a woman, your ALT should be below 19 and, if you’re a man, it should be below 30. If your ALT level is higher than that, talk to your doctor about the possibility of fatty liver. Of course, there are other causes of your liver enzymes being higher, but in the absence of other causes, fatty liver is the most likely culprit. If your ALT is high for no other reason, take the steps below and retest every 3 months. Stop drinking. If you have fatty liver disease, or are even at risk for it, there is NO safe amount of alcohol. Lose weight. Not everyone with fatty liver is overweight but, for those who are, losing just 5 to 10 pounds may be enough to radically improve liver function. Studies have shown that fatty liver responds well to diets that are low enough in calories to cause 1-1.5 pounds per week of weight loss. Low carb or low fat can work equally well as long as they are low in calories but not too low. Rapid weight loss of more than 2 pounds per week can make things worse. Manage your blood sugar. 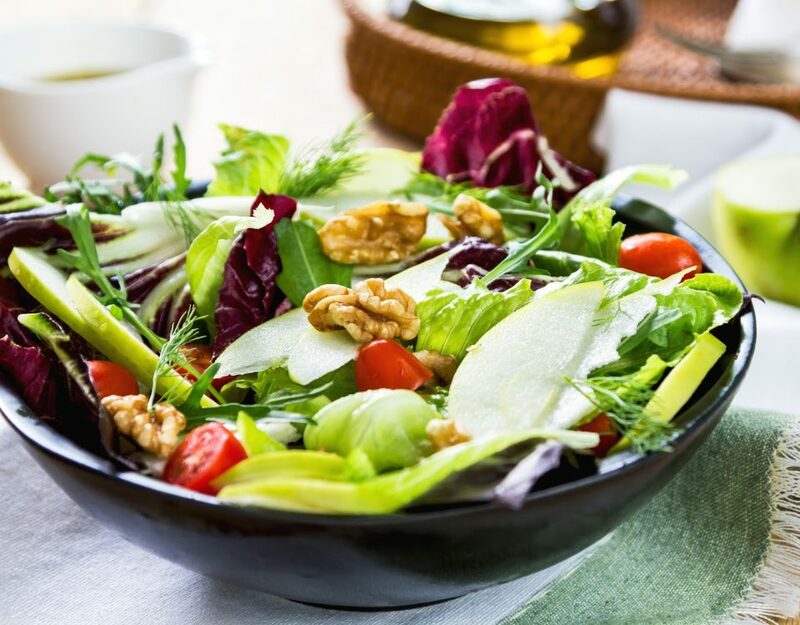 Eating foods high in fiber and lean protein, as well as eating small, frequent meals, can help heal your liver by balancing your blood sugar resistance. Fiber has a double benefit for those with fatty liver. It helps blood sugar and binds with toxins that would otherwise go from your colon into your liver. The highest sources include white beans, split peas, lentils, artichokes, broccoli, blackberries, and Brussels sprouts. Avoid fructose. Yes, this does include fresh fruit. 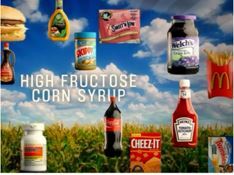 Even though fruit is delicious and is a better choice than candy or sugary soda, fructose is the type of sugar that is most apt to harm your liver8. Limit saturated fat. Studies have shown that saturated fat can make fatty liver worse, even when you don’t consume excess calories. 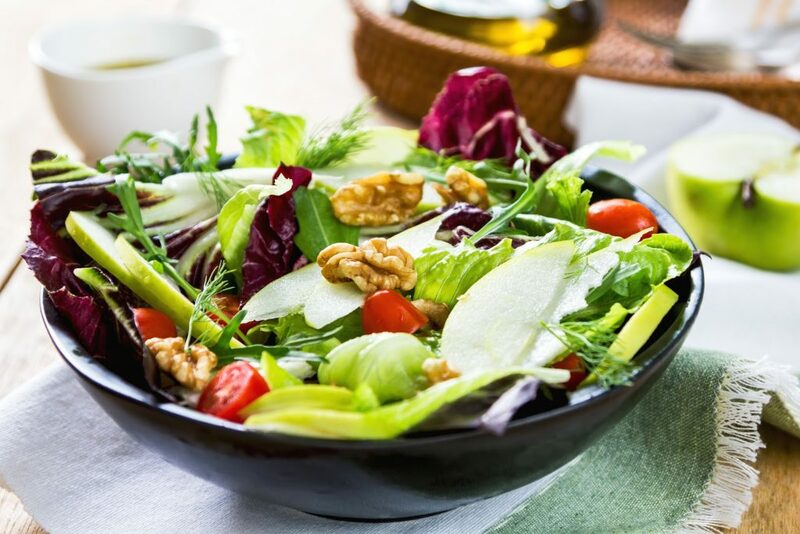 If you are eating lower carb, monounsaturated and polyunsaturated fats are likely the safest for those with fatty liver. If fatty liver is a concern, limit coconut oil and leave butter out of your coffee. Cut trans fatty acids. Primarily found in processed foods and baked goods, trans fats can cause liver damage. Some big sources are fried foods, pie crusts, margarine, shortening, frosting, pancake mixes, non-dairy creamer, microwave popcorn, animal fat, store-bought cookies, biscuits, creamy frozen drinks, crackers. Get enough magnesium. Since the soil has been farmed out and water is often stripped of its mineral content, eat foods high in it and consider taking a magnesium supplement. Surprisingly, magnesium acts as an antioxidant within the liver. Best food sources include adzuki beans, pumpkin seeds, avocados, oysters, and spinach9,10. Take 400-1200 International Units of Vitamin E every day. This is above the amount found in foods. Mixed tocopherol versions of vitamin E are best. Studies of liver biopsies have found this level of Vitamin E can halt the progression of fatty liver disease within 5 months11. Use betaine, a naturally occurring substance found in beets. Also called trimethylglycine, it has been found to lower ALT levels by 40-50% for most people. Using fresh or powdered beet juice is a great option, as is betaine supplements12,13. Fatty liver is common and deadly. Thankfully, the pathway back to health is fairly simple. Subtract alcohol, fructose, and trans fats from your diet. Then, add some of the nutrients we mentioned earlier. Eating strategically will give you the energy you need to fuel a healthy lifestyle. Make sure you talk to your doctor about your ALT level and encourage your loved ones to do the same. 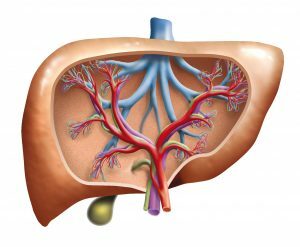 Even more so than other parts of your body, your liver can regenerate if you give it a chance. As always, learn about your own health, and never give up! 1 – Browning J.D., Szczepaniak L.S., Dobbins R., et al. “Prevalence of Hepatic Steatosis in an Urban Population in the United States: Impact of Ethnicity.” Hepatology 40.6 (2004):1387–1395. 2 – Lazo M., Clark J.M. “The Epidemiology of Nonalcoholic Fatty Liver Disease: a Global Perspective.” Seminars in Liver Disease 28.4 (2008): 339–350. 9 – Nadler J.L., Buchanan T., Natarajan R., et al. “Magnesium Deficiency Produces Insulin Resistance and Increased Thromboxane Synthesis.” Hypertension 21 (1993): 1013-1019. 10 – Afanas’ev I.B., Suslova T.B., Cheremisina Z.P., et al. “Study of Antioxidant Properties of Metal Aspartates.” Analyst 120 (1995): 850-862. 11 – Parola M., Muraca R., Dianzani I., et al. “Vitamin E Dietary Supplementation Inhibits Transforming Growth Factor Beta-1 Gene Expression in Rat Liver.” Federation of European Biochemical Societies Letters 308 (1992): 267-270. 12 – Abdelmalek M.F., Angulo P., Jorgensen R.A., et al. “Betaine, a Promising New Agent for Patients with Nonalcoholic Steatohepatitis: Results of a Pilot Study.” American Journal of Gastroenterology 96 (2001): 2711- 2717. 13 – Mukherjee, S. “Betaine and Nonalcoholic Steatohepatitis: Back to the Future?” World Journal of Gastroenterology 17.32 (2011): 3663–3664.